I love my mom like crazy, and my favorite thing to give her is a hand made gift...the smile that forms on her face when I do this is unmatched by any gift I could buy, because she knows that there was a whole lot of effort, and a whole lot of heart that went into it. Often there are a few happy tears, and always they end up on a shelf that is plainly visible for her to see every day, as well as show off to anyone that enters her front door. But not everyone is crafty or artsy...and that is where these easy 5 Easy DIY Mother's Day gifts come into play; they give you the opportunity to give your mom something she will treasure forever, that was hand made by you, without taking a ton of time, planning, and effort. And all of them are under $25, so even those on a tight budget can make their mother, grandmother, aunt, or wife something special. Starting at $13.80 / Pack of 5 Books* -- No longer do you have to be craft-savvy to make awesome DIY photo books and give them out as gifts. With Pinchbooks, you can make these hard cover photo albums quickly, and with no prior knowledge or experience of the crafting and DIY'ing market. Just have your photos printed (or print them yourself), open the Pinchbook cover, slide the photos into the patented spine, and close the cover again. It grips your photos tight, and allows for fast and simple editing / adding to the book as well. Pinchbooks come in many sizes from 4" x 6" up to 12" x 12", as well as in either a faux leather or cloth material. The cloth material comes in many colors, including black, pink, blue, taupe, and more. Some sizes have windows on the front cover, and some do not. 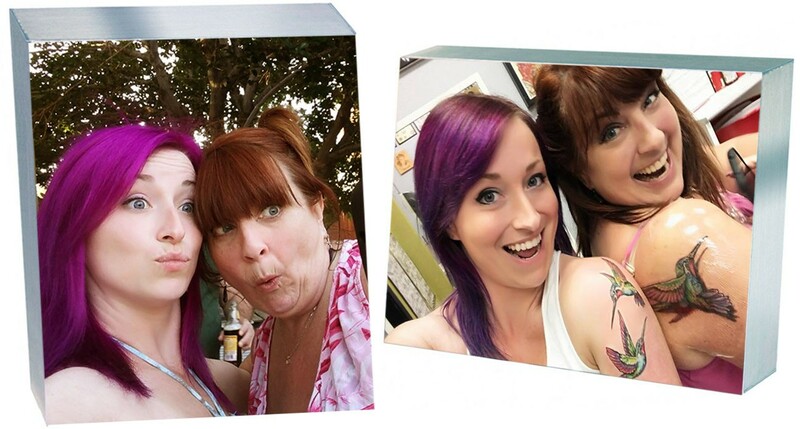 Starting at $24.84 / Pack of 10 Photo Blocks* -- Photo blocks are a fun new "framing" trend that does't take anything more than just the block itself and your photo. Since they are peel-and-stick, you just peel a part of the liner back, line up your photo onto the corner of exposed adhesive, then peel back the rest of your liner and press the photo onto the block. They can be hung up on the wall, or stand up on a desk. I love these little flip books! They are small and packed with a whole lot of love and memories. All you need to make them is some paper, a hole punch, markers/pens, and some binding rings, all of which you can get for under $25. Make it "Reasons I Love My Mom" or "Best Things About My Mom" or "Why I am Awesome : Because of My Mom"...there are truly so many fun plays on words you can work with; just use your imagination and remember to make it personal to your specific relationship with your own mother. 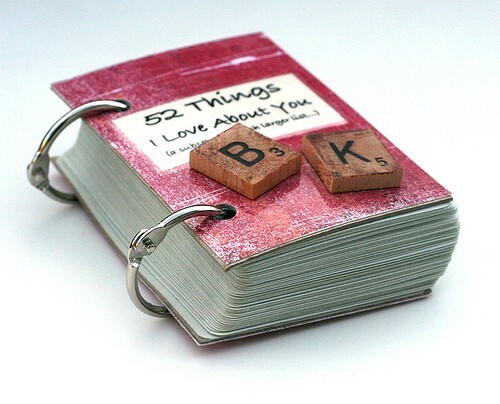 You can attach scrabble tiles like shown above, stickers scrapbook trinkets, and anything else you can think of. Here is a quick little tutorial for a book like this, using a deck of cards, but you can use any kind of paper or cardstock. I prefer to use plain card stock, because I like to put little stickers and charms and other artsy things. Plus, if you use plaim paper, there is no reason why you have to stick to "52" reasons...you can do 75, 100, or even 1,000 reasons why you love your mama! 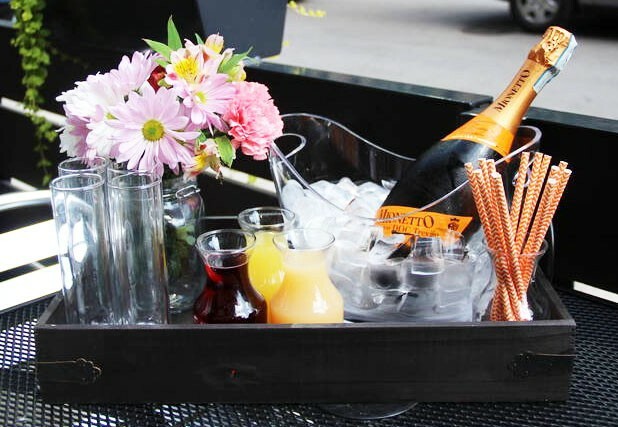 Make your Mama a relaxing "momosa" bucket with everything she needs to make a yummy mimosa. You can buy some cool metal buckets at your local dollar store, as well as a candle, champagne flutes, and even some faux flowers (or get some real ones) in a vase. Then add a bottle of her favorite champagne that fits in your budget, for an awesome gift that is under $25. You can find some great little containers at your local dollar or thift shop. 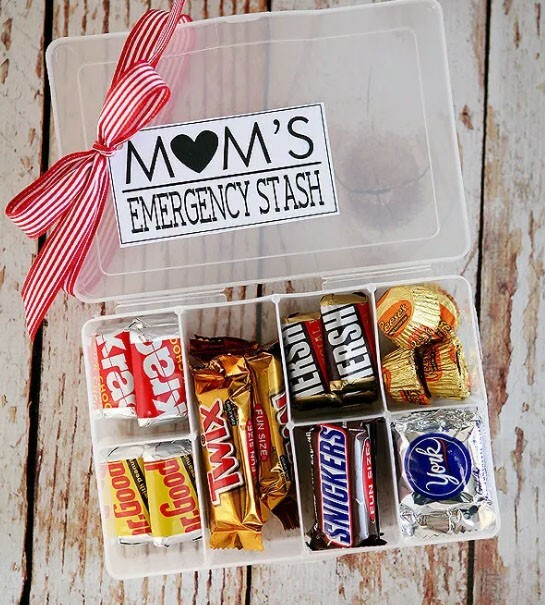 Add some printed paper with a little glue, and a pretty ribbon, then stuff that sucker with candies and treats that your mom loves. This is a cute little box she can hide away where no one else in the house can get to it, so she can get her sugar rush without having to worry about sharing. You're mom has put up with a lot...so remember to say thanks with an awesome DIY gift this year that anyone can make, without breaking the bank. These special gifts are easily made by both adults and children, and make a great gift for your mom, grandmother, aunt, wife, or anyone else who means something to you, and deserves a shoutout on Mother's Day. * Available while supplies last. Price is subject to change without notice. Price reflected is based on current clearance pricing at the time of this post, and may have since changed.